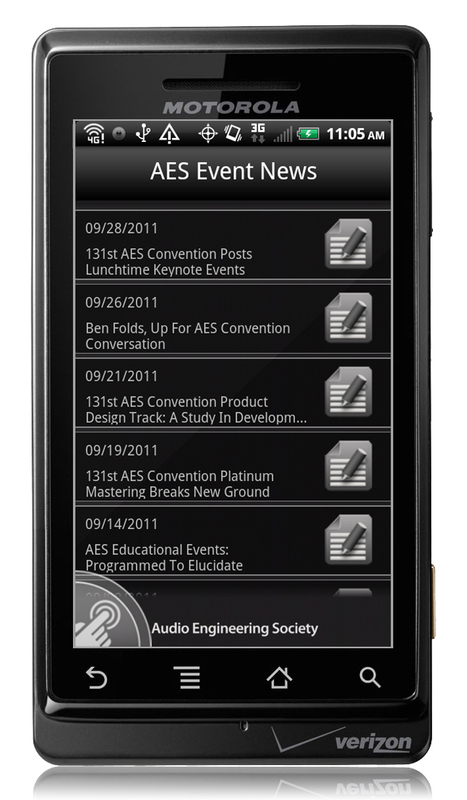 NEW YORK: In an effort to provide 131st AES Convention attendees with up-to-the-minute details on Convention events, AES webmaster Steve Johnson has coordinated the development of a mobile app that will work on iOS devices, such as the iPhone and iPad, plus most Android devices. 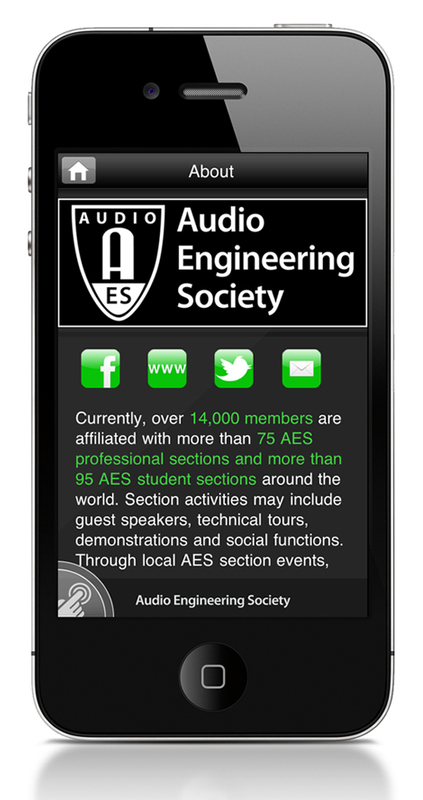 Available for free download at the Apple and Android stores or via links on the Audio Engineering Society website, the app is loaded with extensive information about the 131st AES Convention, set for Oct. 20-23 at NY’s Javits Convention Center. Additionally, it will be updated frequently to provide ongoing news and videos to keep it a vital year-round AES information source. 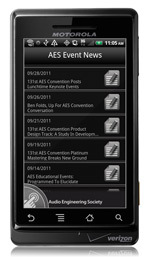 The AES “News” tab includes convention news and a full list of exhibitors, plus maps of the technical sessions and the exhibition floor can be found in the “Photos” tab. The “Events” tab features the entire Convention Technical Program Calendar to enable attendees to add each session to their mobile device calendar. Each day’s events are grouped together, and each session includes a descriptive abstract and participant list. In addition to information about the 131st Convention, the app’s “Video” tab features previews of “AES Oral Histories” interviews, the “Podcasts” tab has audio summaries of recent AES Journal issues, and a Twitter feed contains updates on late-breaking developments. The 131st Audio Engineering Convention will be held in NY’s Jacob Javits Convention Center Thursday, October 20 thru Sunday, Oct. 23.